The last few days have been packed with press conferences and announcements of new devices for Microsoft's upcoming operating system Windows 8.When you analyze the devices and tablets, you will notice that they can be easily grouped into the following categories: Windows RT tablets, Windows 8 tablets, Windows 8 laptops. The first two run on different hardware and serve different purposes. I have addressed the differences between Windows RT and Windows 8 here, only this much: Windows RT devices are limited to Windows Store apps, while Windows 8 devices can run Store apps and traditional desktop programs. The following three devices have caught my interest. Unfortunately though we do not know enough about the devices yet which may change my perception of the device later on. While some of the device's specs have been revealed, we do not know anything about pricing, availability or other factors such as running performance or battery life. Microsoft's own Surface Pro tablet is the only device of the four that has not been announced on the IFA. Microsoft announced the device family back in June, and weeks later that Surface RT devices will be available on October 26, while Surface Pro devices later in the year. What I like in particular is the dockable keyboard that attaches to the tablet magnetically, and the built-in stand. The Pro version that I'm looking forward to has a full HD 10.6" ClearType display, weights about 900 grams, USB 3.0, either 64 or 128 Gigabytes of SSD storage and a larger 42 Wh battery. It is a mobile device that I can see myself taking with me on trips to update this blog, answer emails and do other light computing work. I want the Pro variant as I want to install the desktop apps on it that I'm used to. 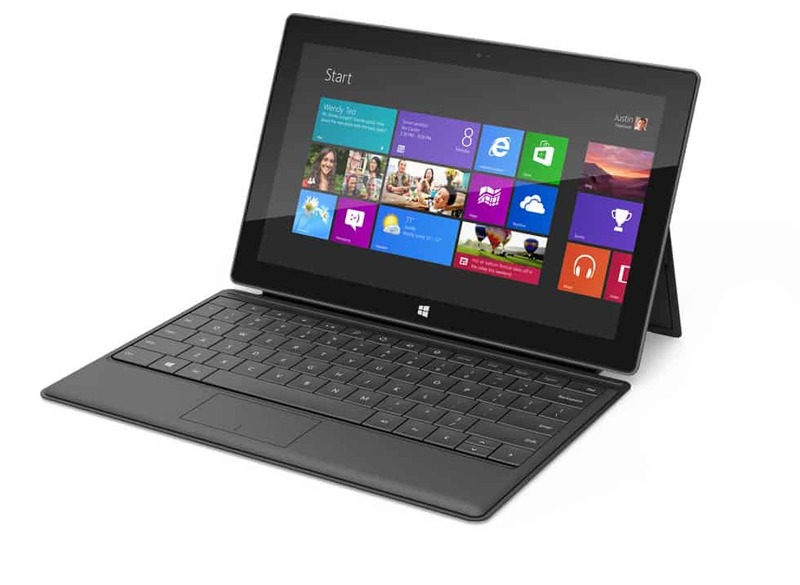 This is another Windows 8 Pro device with a keyboard dock running either an Intel Core i3 or i5 processor. As far as specifications go, we know that it ships with an 11.6" full HD display, 4 Gigabytes of RAM, battery capacity of 49Wh, Wireless Lan, Bluetooth 4.0, USB to Ethernet dongle for wired lan connections, and a front and rear camera with 2 and 5 Megapixels respectively. The Ativ PC Pro is lighter than the Surface, albeit only by 19 grams. This is an alternative to the Surface Pro and I have to test both, and read some tests, before I make my mind up on which tablet I go for. While those two are devices I'm looking for in regards to tablet functionality and Windows 8, it is certainly possible that a different tablet will win me over in the end. What I like about these two devices besides what I have already mentioned is that both keyboards include a touch mouse which is nice despite the fact that both use touch screens. This one is interesting. It is a prototype that Samsung showcased on IFA. The device comes in a 11.6" and 13.3" variant with a 2560x1440 resolution which is similar to Apple's Retina display. The Samsung Series 9 WQHD features a matte display which surely is a selling point for many mobile users on the go. Samsung has not revealed much about the device, only that it won't be released any time soon. What we will see though is a full HD version that will be released in the next time (likely after the Windows 8 release). I want to buy one tablet or laptop running Windows 8 Pro shortly after the operating system comes out. Only the first two will likely make it in time to be included in my decision, while the prototype Series 9 WQHD likely won't. Have you followed IFA and the announcements so far? If so, do you have a favorite tablet or laptop you are looking forward to? Too bad all these devices seem to have a 16:9 aspect ratio. It would be nice if there were some 16:10 options. I will go for the first one that dares to put one out with an i7 chip. I need power more than anything else. For easy portable touchy feely stuff, I can always use an Android tablet. What type of work do you need the power for? What-if analysis on spreadsheets telling me what would happen should someone be more smooth at words than at results. Don’t like that aspect ratio neither. I’m undefined between Android and one of these, amd will wait until further experience with these win 8 tablets. My main concern is if i can edit pdf’s that are readable in my windows based pc/laptop, because i do a lot of pdf reading and editing and i havne’t been able to figure if that’s possible between android and pc yet. I’m not really in Android tablets, as I see them more as playthings as something that I can really use for work. What do you base this on? I agree that ARM devices are better toys than tools but it’s pretty obvious that there is a greater selection of professional tools available for both Android and iOS. Looking at the amount of job listings for Cocoa developers, I’d say that iOS is the most attractive to corps right now. Win RT is untested and unproven for both work and play. I base it on my needs, and this includes a device with a full qwerty keyboard. It all depends on what work you need to do on the device. If an Android or iOS device provides you with everything you need, why not. Full qwerty keyboards are available for Android and iPads. 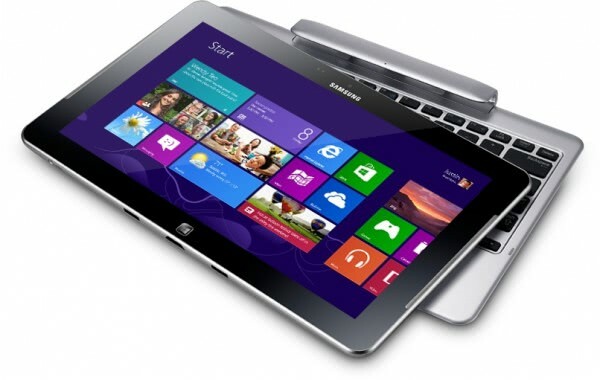 In fact, the Surface is nearly identical to the Asus Transformer Prime. I also need: a torrent and usenet client, ftp/sftp client, full disk encryption, the option to install various desktop browsers, a desktop email client, programs to convert files, skype, an image editor and several other programs. Are those available as well? Yes, all those are available and 300,000 more applications build for tablets. I had been following news of the Lenovo Yoga, but nothing at IFA! Still, we hear of a Pro and RT Yoga, I wonder why nothing this week though. I am looking for none. Will wait for Windows 10. There is one more where the screen flips, so you can use it as a touchpad. Toshiba had such laptop. I am looking forward to the first one. I just hope MS gets it right so that I can replace whole laptop thing for my work. I never saw iPad or Android tablets as laptop replacement but this thing has some serious stuff. I hope it punches in the face of iPad (because I honestly do not think iPad gives best bang for your buck).